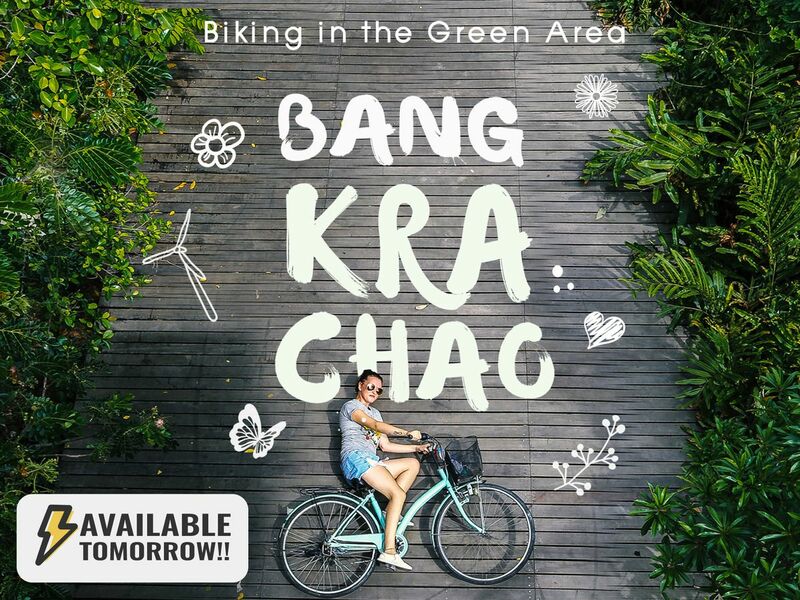 This private Bang Krachao bike tour starts in the afternoon. Let's get away from Bangkok's busy streets and crowds for a day and go cycling at a large park in Bang Krachao, also known as Bangkok's Green Lung. We'll also visit an old local temple and Siamese Fighting Fish Gallery, and have a sweet time at a tree house cafe. Leave Bangkok and head to Bang Krachao area in Samut Prakan. Nicknamed Bangkok's Green Lung, the area has also been named 'the Best Urban Oasis' by TIME magazine. Arrive at our first stop, Wat Paket. This old temple was built over 250 years ago. We'll explore the temple area. Time for delicious refreshments at Bangkok Tree House. Thanks to its location above the trees, you can enjoy a lush green views at this cafe. Bike to Sri Nakhon Khuean Khan Park and chill out in more greenery. Check out the one and only Siamese Fighting Fish Gallery, which is also in Bang Krachao area. End of our private Bang Krachao bike tour. Return the bicycle to the shop and get ready to go back to Bangkok. Say goodbye to the traffic and pollutions of Bangkok and discover the local town, filled with natural air and greens, nearby Bangkok. Cycle around and observe the local surroundings and the way of life. Very local. Admire the tranquility of the green district and enjoy you chill day here with me. You get to check out the local neighbourhood and some local attractions you shouldn't miss. I'm also flexible with the time. You can chat with me and let me know, if you'd like to take the morning or afternoon tour.